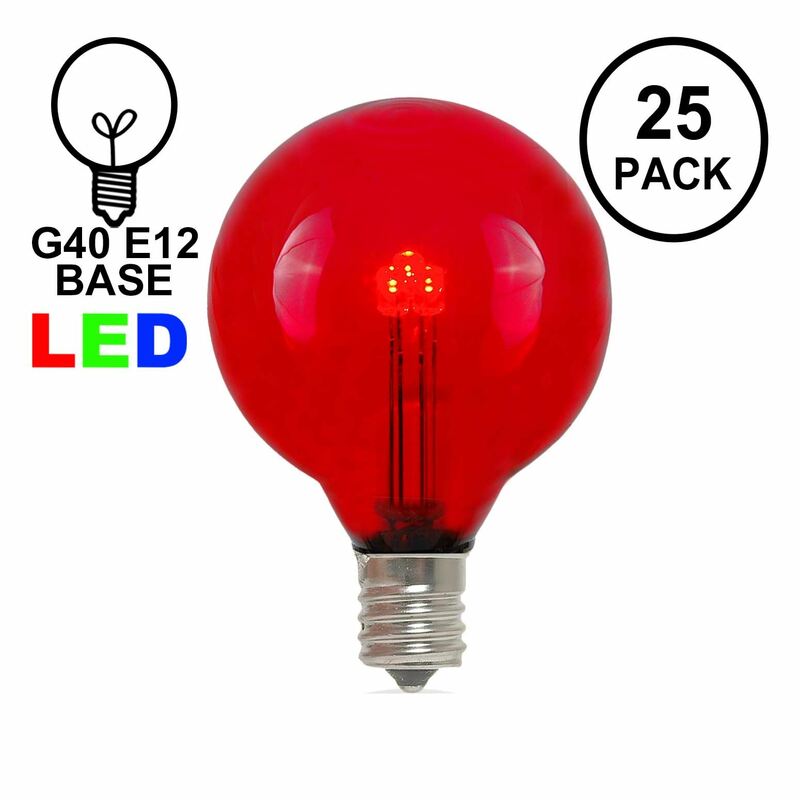 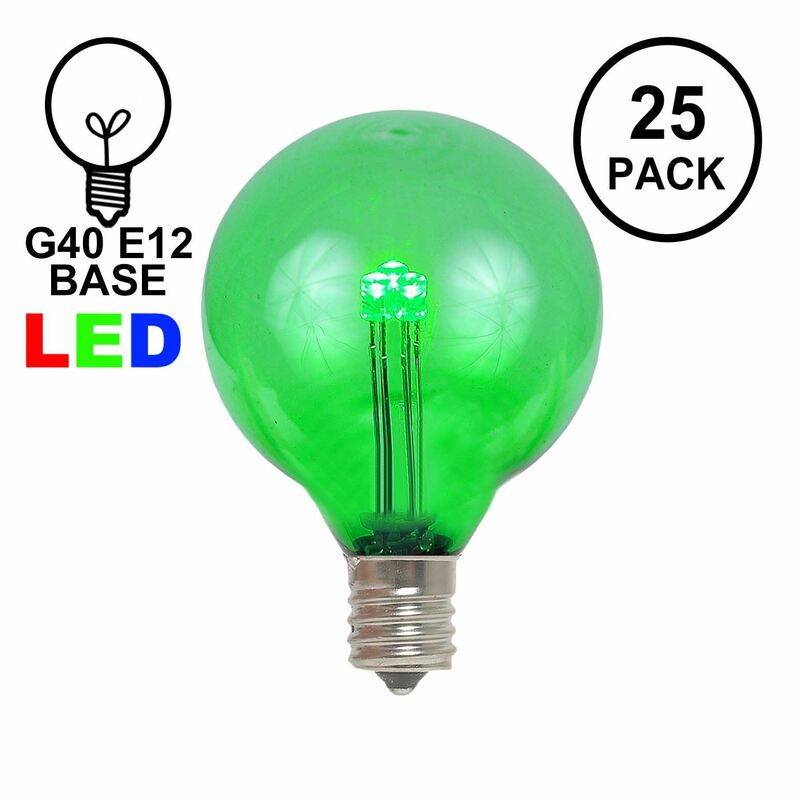 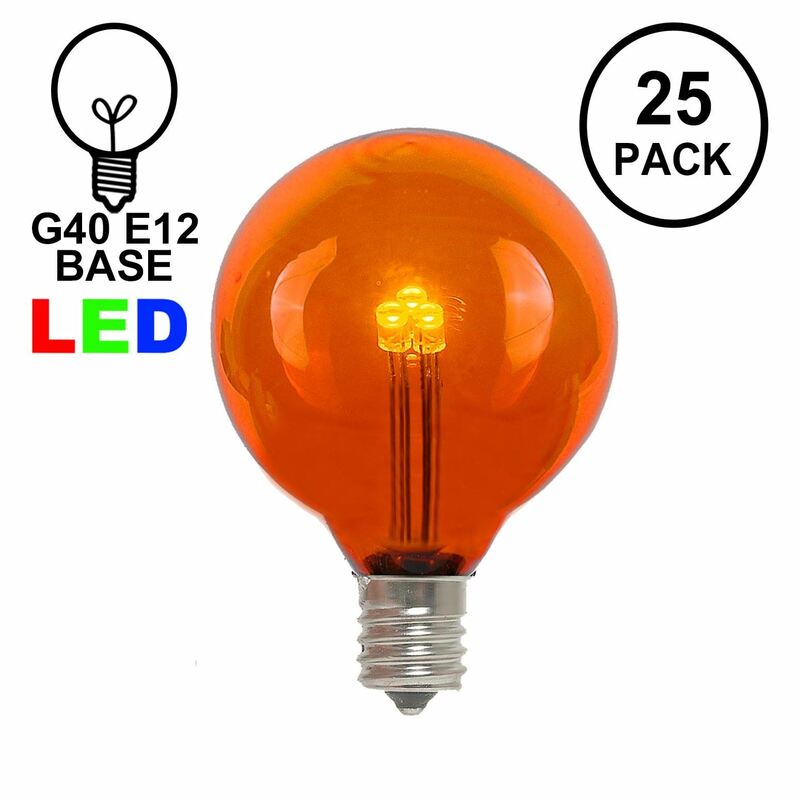 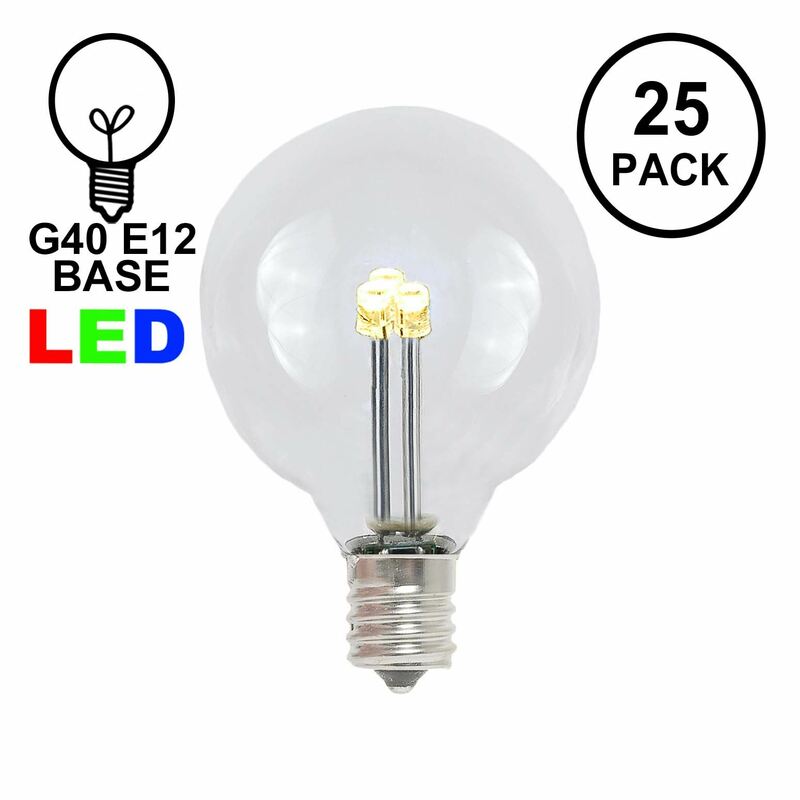 Buy Novelty Lights G40 LED replacement globe light bulbs. 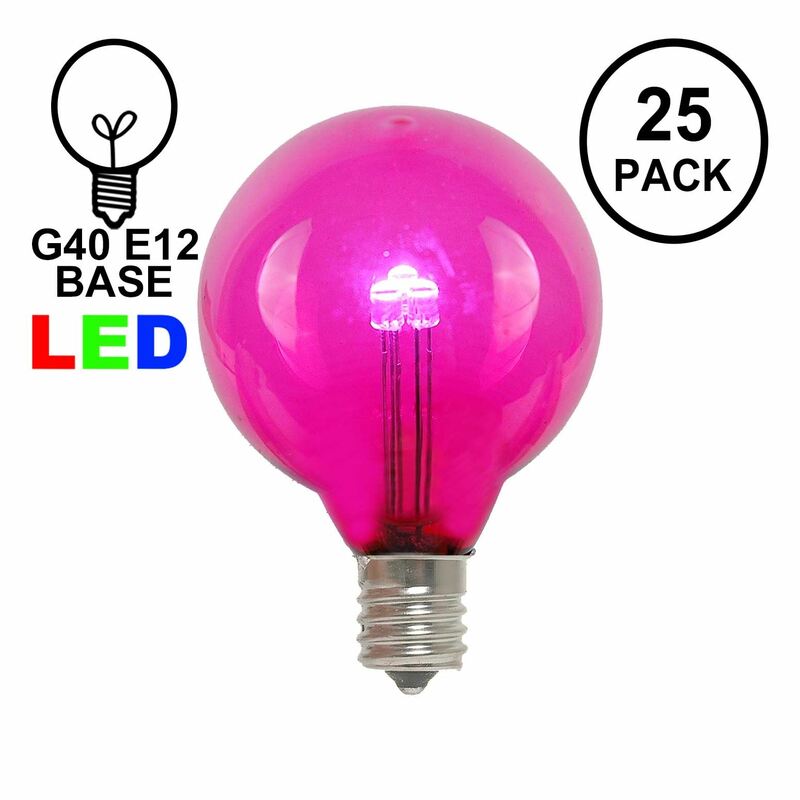 These trendy, round bulbs are as versatile as they are vibrant. 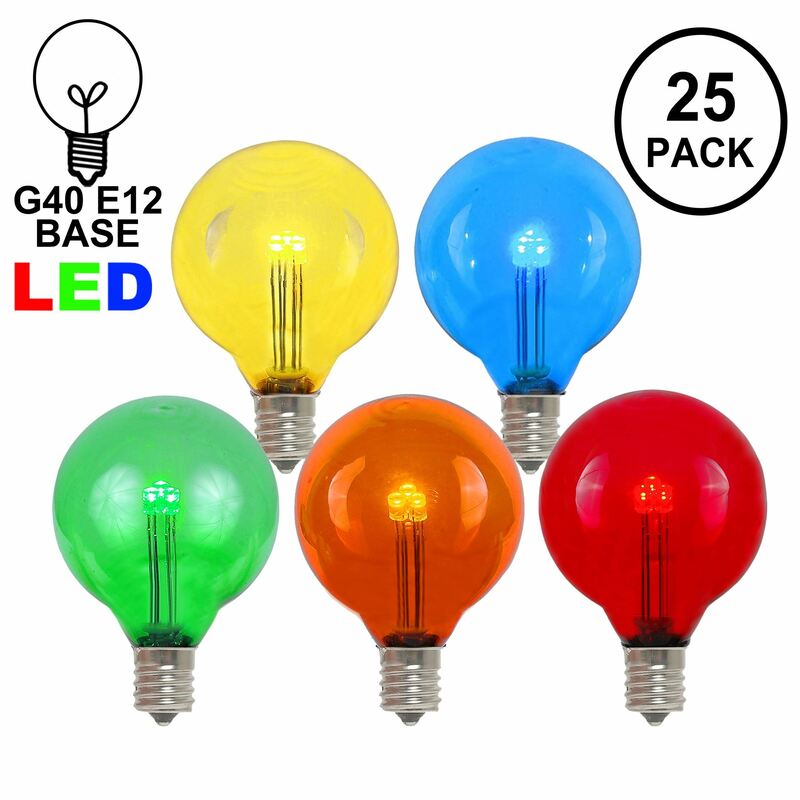 Use them as outdoor string lights for your patio, garden or pergola, decor for your restaurant or bar, special event or wedding lighting, or for your Christmas tree or holiday display. 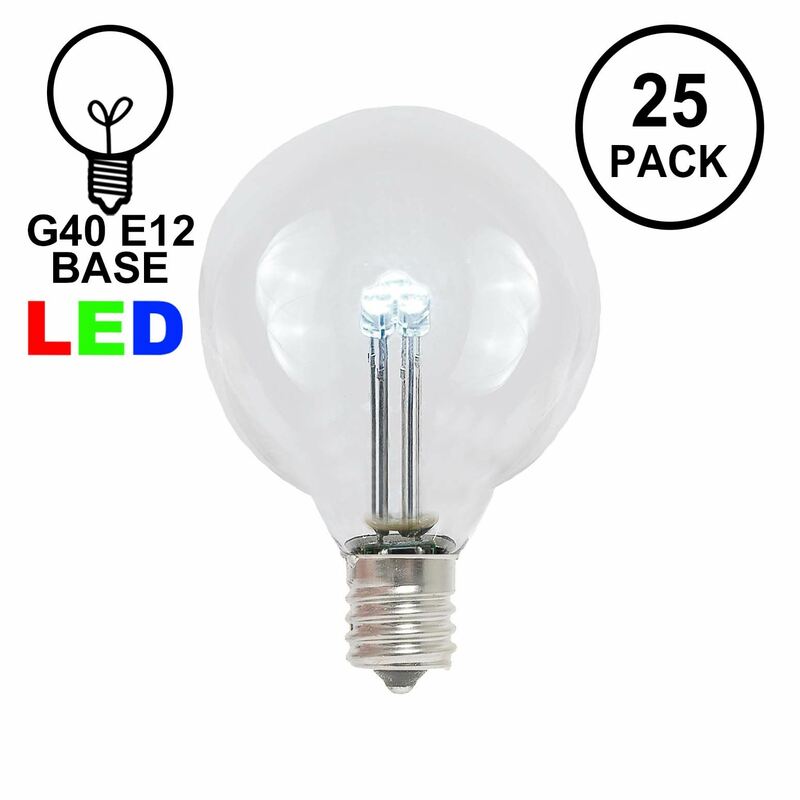 With 3 stunning LEDs per bulb, these lights use 1/10th the amount of energy as their incandescent counterparts yet are just as bright. Avaiable in 10 colors, these vintage-looking LED G40 bulbs are perfect for your outdoor string light project. 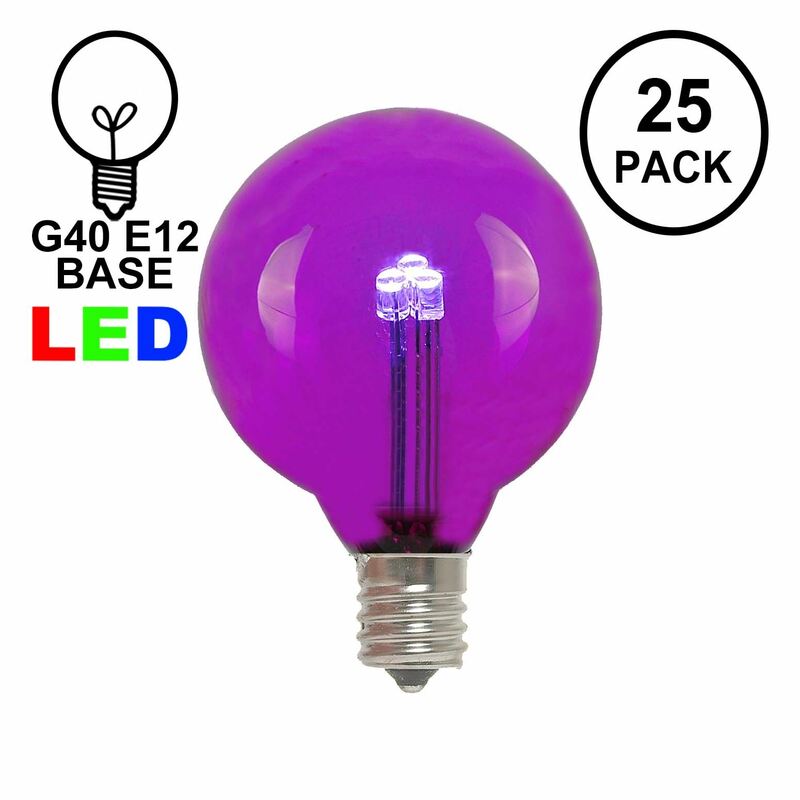 Made of glass, these bulbs will not fade or discolor. 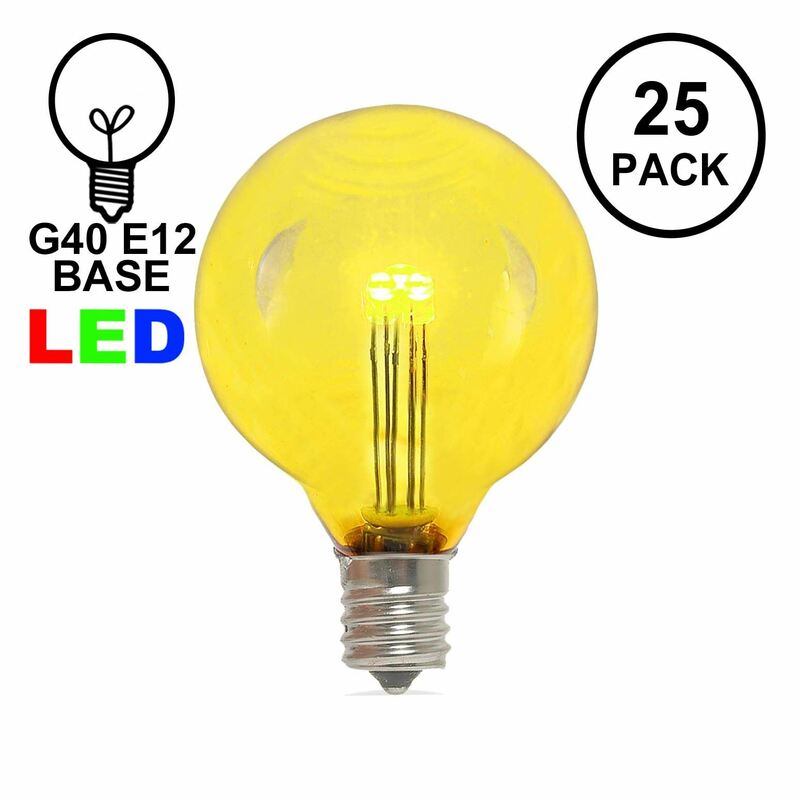 Use these chic bulbs with our C7 Stringers (25' & 100'), our E12 Heavy Duty Light Strings (25', 100' & 330'), our commercial grade bulk 1000' C7 spools as well as our vintage Twisted Wire Strings with E12 Bakelight Sockets.